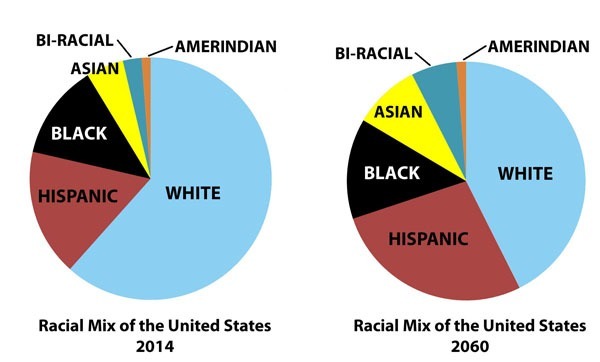 The Census Bureau has just released a projection of the American population through 2060, and it makes grim reading.1 Whites will become a minority in 2042, and by 2060, will be just 43.6 percent of the population. The transition for children under age 18 will be much sooner: They will become a minority in 2020 — in just five years — and in 2060 will be just 35 percent of all children in the country. A newborn white baby is already a minority in his age group. 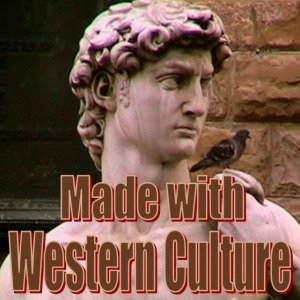 These changes will be driven not only by continuing waves of non-white immigration and higher non-white birth rates; whites are simply not reproducing themselves. Between now and 2060, the number of whites will decline 8.2 percent, while the number of white children will drop by a staggering 23.4 percent. Every other racial group will increase during that period. The number of Hispanics will more than double — an increase of 114.8 percent — as will Asians, whose numbers will increase 129.1 percent. Between now and 2060, the United States will be growing like a Third-World country. Its population will increase by 98 million, from just under 319 million today to 417 million. There would be a natural increase (births outpacing deaths) of 34 million without immigration, but the country is projected to let in 64 million foreigners during this period — a rate of 1.4 million per year. The percentage of the foreign born will continue to increase, from 13.3 percent to 18.8 percent, but the largest increase will be among those age 65 and older: from 13.2 percent to 25.8 percent. This means that in 2060, more than one quarter of the elderly — that is to say, those most likely to depend on public support — will be foreign born. This reflects both the aging of the immigrant population and the fact that so many working-age immigrants sponsor the admission of their elderly parents. The Census Bureau report includes a number of interesting graphs. This one shows change in the percentages of different groups. The racial category that is expected to increase the most is “Two or More Races,” though from a small base. They are expected to go from 2.0 percent to 4.1 percent. 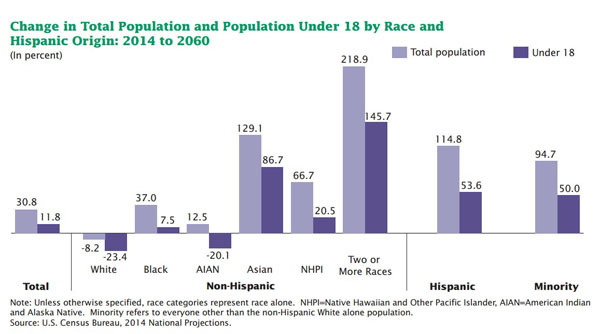 The important increases are among Hispanics and Asians, though blacks are expected to increase by 37 percent as well. The AIAN (American Indian and Alaska Native) group will show interesting changes: Their total numbers will rise by 12.5 percent, but the collapse in American Indian fertility means the number of Indian children will drop by a fifth. This will skew the population, making it heavily elderly. It is worth noting that, according to the census, Arabs and Middle-Easterners are white (though the US is considering a separate category for them in the next census).2 There are an estimated 3.5 million Arabs in the United States, so this group alone accounts for 1.7 percent of the current “white” population. The historic American nation is slipping away year by year.